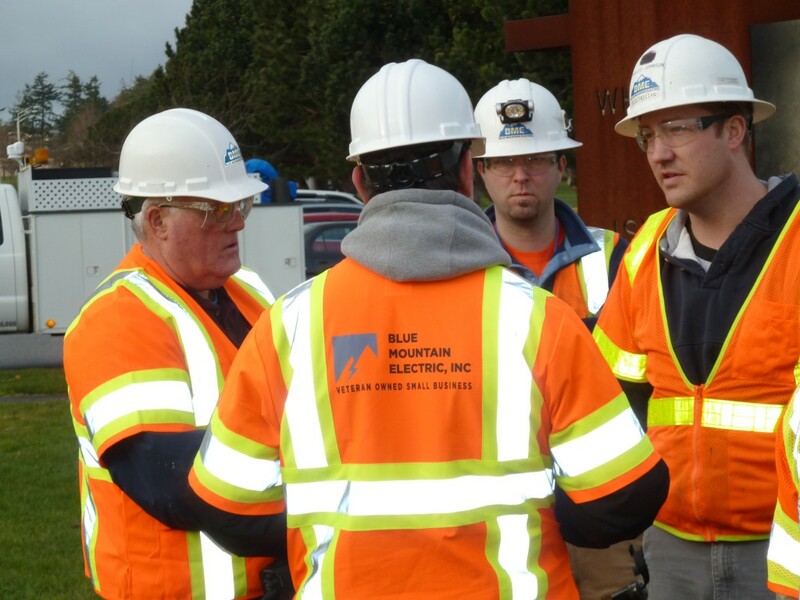 The staff of Blue Mountain Electric are part of a team, and like any good team, each member plays an important role. The company works hard to make sure that each employee’s needs are met, that they are happy and successful in their work. We live the philosophy that a happy employee is a better employee and we strive to let that motto show. Establish a career for yourself Through continued education we help all of our employees reach their goals and progress throughout their career. Friendly & Supportive Team Environment We promote a healthy workplace, where attitude, safety and happiness are key. Learn from the Best The work experience you gain through working under our Journeymen Electricians and on the immense projects that we handle, you will learn a wealth of knowledge that is invaluable to your job. Four Day Work Weeks We generally work four, 10-hour days per week. There are times that projects require that we work overtime; however employees receive excellent overtime compensation. Health Insurance Coverage for employees with the option to include their families. Simple IRA with Company Match We support our employees investing in a secure future. Drug Free Environment BME supports a drug free work environment. Pre-hire and frequent random drug testing is required. Committed to Hiring Military Veterans BME takes pride in hiring military veterans. Special consideration is given to veterans during the hiring process. If you are interested in joining our team, click the Jobs button at the top of the website and send us a message. BME is an Equal Opportunity Employer.